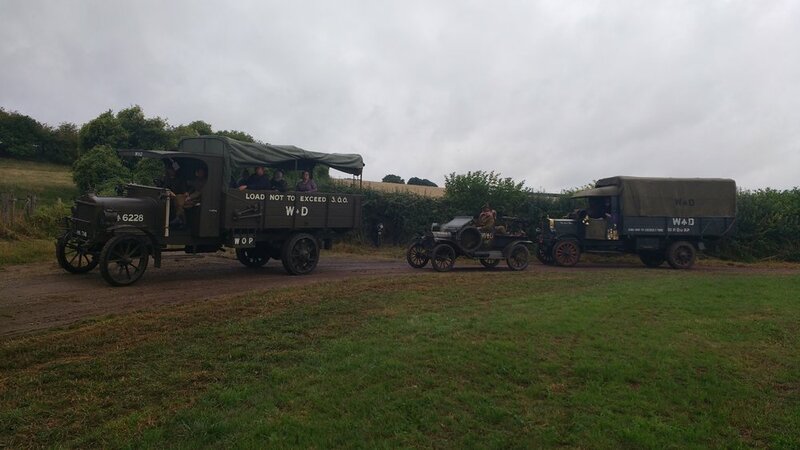 Stunning absolutely Stunning, great to see so many WWI vehicles on the move , thanks for posting wish I'd been there to see it in person. Here, Here, Amazing and well done to all concerned ! Made me want to stand and salute! Two FWDs as well! 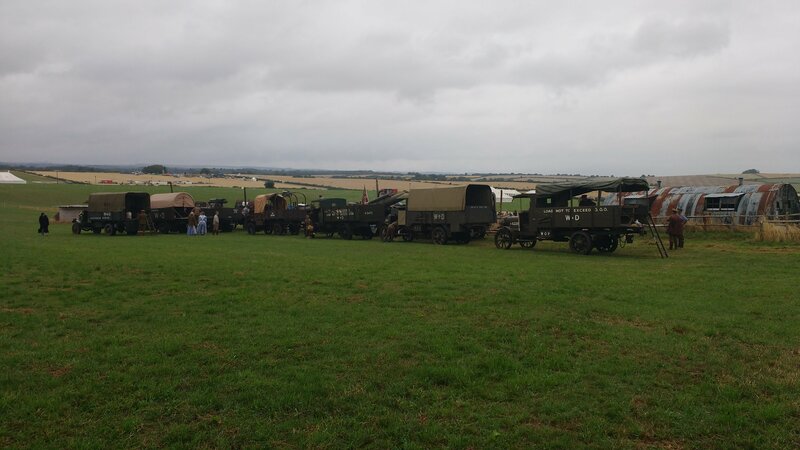 Here are some photos of the gathering at Bovington. What a great display. 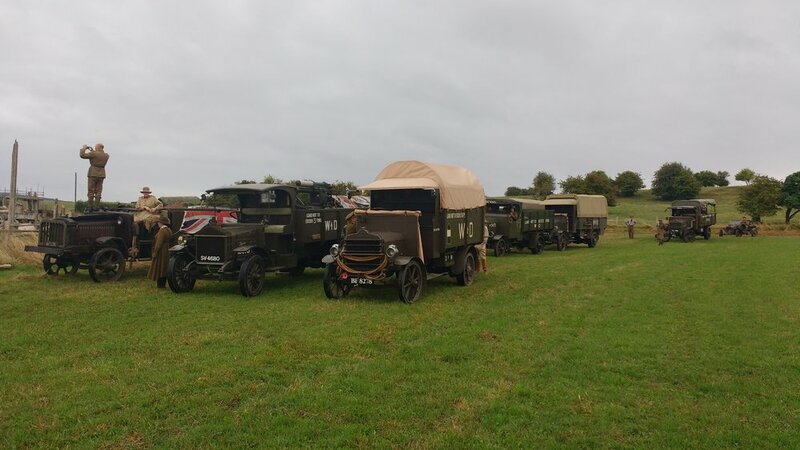 If my Albion A10 was there I would not be able to park it with the others. The Albion has a unusual way of keeping up the oil on the chains. You fill the rear hubs and it escapes from the inside of the hub into a "V" shaped collector which directs it down onto the chains. It then drops onto the roadway. 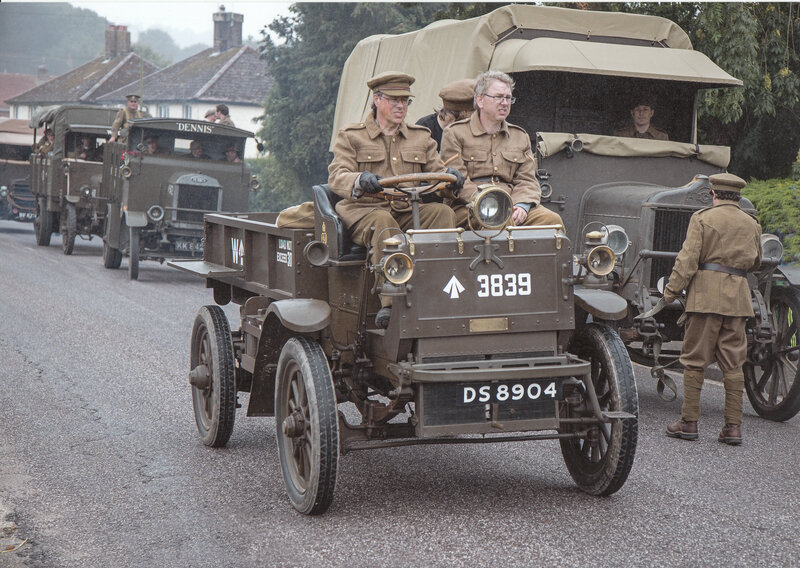 This was OK in 1916 but it took a bit of convincing the authorities that that was how it was built as under todays laws you are not allowed to drop oil onto the road. No oil leaks allowed. I would have hated to have left my mark on that lovely concrete in the photo. The full story has been published in this Months CMV so I thought I might add some otherwise unpublished photos. These ones were everybody getting ready for the trip. This was a fantastic spectacle. Perhaps we should do another for the armistice in November? How about Salisbury Cathedral as a venue ??? Excellent set of pictures, and a really good day. Spotted myself quite a few of them! 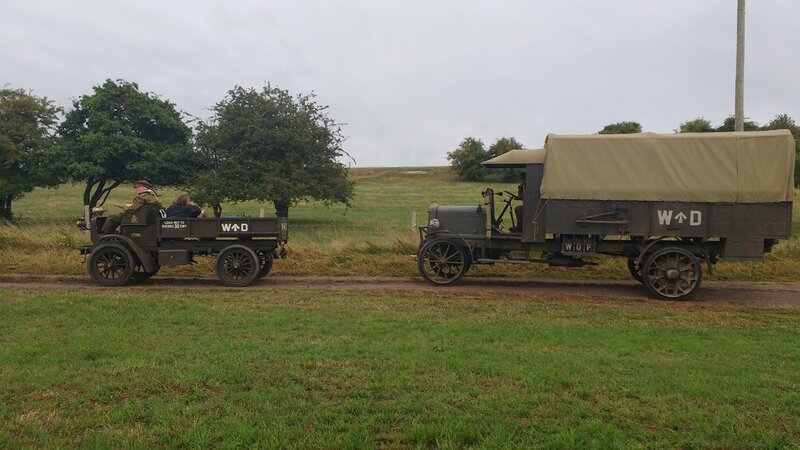 Here are a few pictures I took once we had arrived at the Great Dorset Steam Fair site.